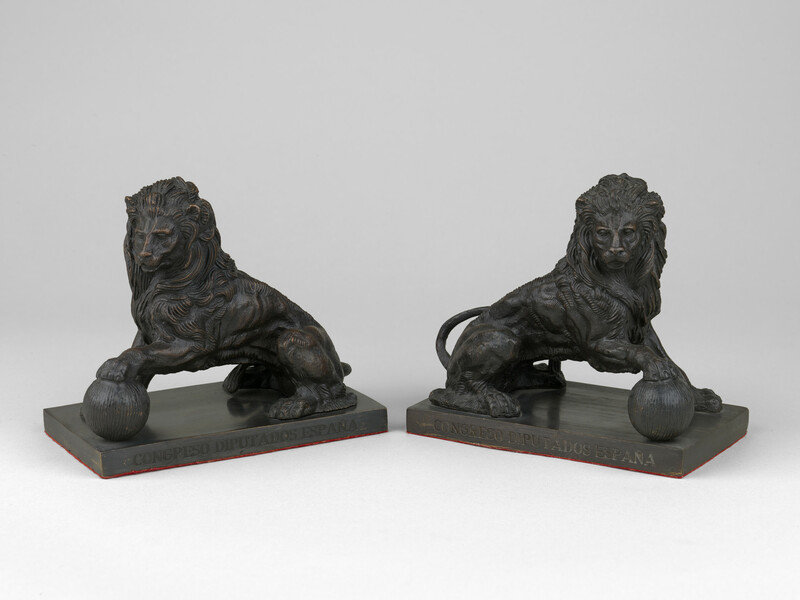 A pair of bronze lions, each seated on a rectangular base with a front paw outstretched resting on a ball. The base has a red felt base and the inscription CONGRESO DIPUTADOS ESPAÑA on the side. Presented in a red leather box.